The American aluminum giant Alcoa is celebrating its 125th anniversary this year. In addition, it is the 50th anniversary of its corporate mark, introduced in 1963 when the company celebrated its 75th anniversary (are you with me?). The Alcoa mark is also notable as being one of Bass' early big clients after seriously moving into corporate identity design. Not only was "the Aluminum Company of America" a big company that sold just about anything that could be made from aluminum, it was also a very public brand that advertised nationally. New trademarks introduced at this time were often simple and abstract, replacing cluttered old shields and seals. Not so this time, as Alcoa had already gone through this process in the mid-50s. At the time a firm known as Harley Earl Associates had designed a striking new mark consisting of two triangles. Unfortunately, the application wasn't as pure. The two triangles were typically enclosed by a rectangle with rounded corners with the brand mark, some additional text and, oh, a miniature version of the old shield symbol. In addition, it was potentially not unique enough to be trademarked. Avianca and TACA, two major airline groups in Latin America, merged back in 2009, creating a holding company that includes the former flag carriers of Colombia, El Salvador, Guatemala and Costa Rica. Since then, they've spend a few years integrating the two groups while the old brand names were retained. That ended yesterday, May 28, when Avianca became the group's primary brand. Both airlines have previously used bird symbols (a condor in the case of Avianca) and the new symbol pays some tribute to that. It can also be seen as a map of the Americas. It has previously been reported that Lippincott aided the airline in selecting the name. Local media are crediting Lippincott and Sancho BBDO for the design work. Méditel is a mobile telecommunications company in Morocco, one of three licensed telecom operators in the kingdom. Last week, on May 21, the company launched a new brand strategy with a new logo that it says is more "modern, direct and powerful". It uses a rectangular shape an custom lettering. Policja has been the been the name used by the Polish police force since the fall of communism. Last Friday, it unveiled a new visual identity. It was created by Mamastudio, who took part in a competition. The new logo features a stylised version of the eight-pronged star that serves as Policja's emblem. It scales better and can be used in more varied settings than than its predecessor. Lille is a city in French Flanders in the northernmost part of France, bordering Belgium. The actual city has a population of 228,000 inhabitants, making it the tenth-largest city in France, but it is the centre of the fourth-largest metropolitan area in France with about a million inhabitants. Last week, the city unveiled a new logo, created by Graphèmes, which is based in Lille. The old logo was reportedly designed in the mid-80s. The new logo was developed with plenty of community input, and employs a playful red iteration of the city name while making the fleur-de-lis symbol much smaller. ShopNBC is one of the larger home shopping networks in the United States. Despite the name, it is not owned by NBCUniversal, rather it is a part of company known as Valuevision Media that licenses the NBC name and its peacock. This week, May 22, it announced its intention to rebrand the network as ShopHQ. The new brand was developed with Landor Associates. Danone Yoghobar is a new Italian chain of yoghurt kiosks operated by dairy company Danone and juice bar chain Juicebar. It operates as a variant of a juice bar or ice cream bar, only it serves yoghurt instead. Late last year, the chain started rolling out a new look. The brand identity was developed by Futurebrand in Milan. Last week, New Zealand got a new satellite TV channel dedicated to classic American and British series. It's called Jones!, and the brand identity was developed by Brandspank in Auckland. They set out to create an identity that "reflected the upbeat and positive tone of telly in that era", with "digitally remastered" modern retro aesthetics. Channel idents feature paraphrased recreations of opening titles, with a man "familiarly" humming the theme tunes. This year's edition of the kitchfest that is the Eurovision Song Contest was concluded in Malmö, Sweden over the weekend. The winner was Denmark, which means the contest will be held somewhere in the kingdom next year. Here's a quick glance on the identity work for this year's contest. The main identity properties and guidelines were revealed back in January and established a colourful butterfly as the primary identifier. 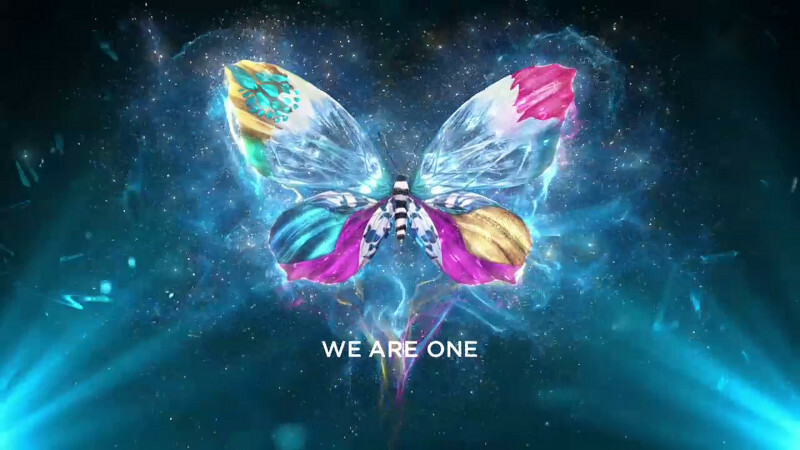 It was extended to an entire package of 39 country-specific butterflies based on national flags. The sparkly butterflies contrast against the fresh and icy look of scoreboards, lower thirds and other graphics. Several Swedish agencies were involved in shaping this year's contest. The main identity was created by Happy F&B, the on-air graphic were devised by Broken Doll, 3D animation was done by Swiss, short live action sequences were directed by Camp David and the music was composed by Adam Nordén. Continental is a German auto parts maker, best known for its tires. At its annual shareholder's meeting. held last week on May 15, it unveiled a new corporate identity. It was developed by Peter Schmidt Group. The new logo is a careful update of Continental's existing wordmark that has been used with minor changes since the 1920s. The horse has been freed from its badge frame. This is a part of new brand platform, reflecting the company's transition to a technology company, summed up in the tagline "The Future in Motion". Cellular Italia is an Italian company that markets accessories for smartphones and tablets under the brand Cellular Line. Back in February, at the Mobile World Congress in Barcelona, the company unveiled a new visual identity that it hopes will help it expand in Europe. The new identity was created by Futurebrand. After the researching the market, Futurebrand simplified the logo and created a new packaging system, colour-coded based on three branded segments, "Charge & Utility", "Voice & Music" and "Protection & Style", communicating a creating product hierarchy. A slight diversion from the super-recent new logos for a news graphics package from Dubai today. The Dubai News Center is the news division of Dubai Media Inc (DMI), a government-owned broadcaster in Dubai. It produces news bulletins, both local and international, for DMI's various channels. This package was introduced in September 2012 after a major studios revamp. News openers employ imagery shot around the United Arab Emirates and world capitals seen through a 3D model. The project was carried out in-house by a team headed by Nisrine El Lababidi, DMI's creative director. It included custom typography created for this project. With well over 500 stores and 250,00 square meters of store space, the Mall of America in Bloomington, Minnesota is the second largest shopping mall in the United States. Even though there are many mall's in the world that are bigger, the Mall of America's brand is stronger and more iconic than its larger competitors. Yesterday, May 15, the mall launched a new brand identity that it hopes will convey the "wealth of unforgettable, dynamic, vibrant experiences" found there. The responsible agency is Duffy & Partners. The star from the previous logo has been reinterpreted as a flexible identity with a colorful ribbon that changes appearance constantly. There are several versions for different circumstances, and most of them are color shifting. 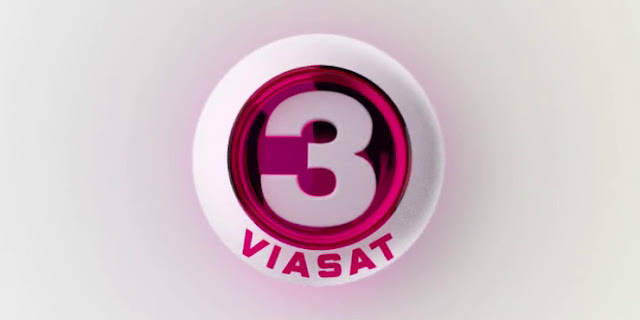 TV3 is one of the a leading commercial television channel in Denmark, currently the third highest-rated network in the country. Recently, the channel got a new look, created by ManvsMachine in London. The existing logo has had a slight update with a new pink colour and now appears in all graphics in the form of multiple balls. Idents feature the TV3 balls multiplying and frolicking in Danish homes. ManvsMachine worked with Frame.dk to produce the idents, Double G Studios for the on screen graphics package and Box of Toys Audio for audio design. Médiamétrie is a French audience research company, responsible for collecting viewing figures for French television and radio. Having used a logo with a stylised M in the form of a line chart for a few decades, it launched a completely new visual identity on April 25. It was created by French design agency 4quatre. The logo change is said to reflect the company's transition into the realm of digital media. 4uatre's president Grégori Vincens said the symbol reflected Mediametrie's ability to "make marks" on the media landscape. Last month, on April 23, US-Hispanic media company Univision Communications announced the launch of a new music service called Uforia that will offer Latin music through different platforms, including a dedicated app. The logo for this service was created by Troika in Los Angeles. The new symbol combines an abstraction of the letter U – representing Univision – with equalizer bars, all in the company's signature colors. Really is a television channel from British broadcaster UKTV, featuring a mix of entertainment, lifestyle and reality programming for a younger audience. Launched four years ago (May 2009), it was a niche satellite channel targeting young women until 2011 when it became available in most British households through the Freeview platform and enjoyed substantially increased viewing figures. To reflect this growth, it unveiled a new look on Friday. It will launch on screen on Wednesday, May 15. The new look was designed by Red Bee Media, who also created the soon to be replaced launch identity in 2009. It aims to be bold and energising, embodying the new brand positioning "Really Gets You", which expresses how Really is more rewarding viewing than "tabloid TV". Some graphics that have been released play on the angularity of the new logo. Back in June last year, Rupert Murdoch's News Corporation announced that it would be split into two separate companies, one for its newspapers and publishing businesses and another for audiovisual entertainment, including television networks such as Fox and the film studio 20th Century Fox. It was probably not directly related to the UK phone-hacking scandal, although that saga may have given Wall Street the ammunition they needed to force something they had wanted to do for a long time. The newspaper company would take over the name News Corporation, while the entertainment conglomerate would probably have Fox in its name. In April it was announced that the new company would be called 21st Century Fox. Yesterday, Rupert Murdoch unveiled the logo for the new company in a memo to employees. The logo was developed with Michael Gericke and Emily Oberman of Pentagram in New York. It combines two searchlights in a circle and the company name set in all caps with a contemporary bold typeface. In the memo, Murdoch says the logo "serves as a powerful symbol of the inspiration and high bar set by our company". Pentagram says it is a distillation of the film studio's legacy. Universal Channel is an international entertainment brand with several channels around the world, operated by NBCUniversal to provide an outlet for its vast production of entertainment programming. On April 28, it got a new look in Asia, which was quickly rolled out to South Africa (May 3) and Hungary (May 5) with the rest of the world said to follow during 2013. The new look was developed as a collaboration between NBCUniversal International Television, broadcast branding specialist Lee Hunt and Red Bee Media in London. Back in February, the French brewery Brasseries Kronenbourg introduced a new beer brand called Skøll Tuborg. Both Tuborg and Kronenbourg are owned by the Carlsberg group. The new beer, only available in France, has hints of vodka aroma and grapefruit. The brand design was carried out by Carré Noir. The name is variation of the Danish word skål that is uttered at toasts. The design also draws on Nordic stereotypes, with a viking helmet and icy blue surfaces. Al Jazeera is not just a worldwide news operation, it has also started up a children's channel, a documentary channel and several sports channels. In late March, the Al Jazeera Children's Channel was rebranded as Jeem. This channel was founded in 2005 and is broadcast across the Arab region. The hope is that Jeem will be established as a multiplatform brand, active on both the screen and the web. The name comes from the letter ج, proununced "jeem", in the Arab alphabet, an the logo is based on it. The channel's creative director is quoted in the press, saying the name was chosen to be easily remembered. The yellow dot should work as a "point of activation", on the website and on screen. 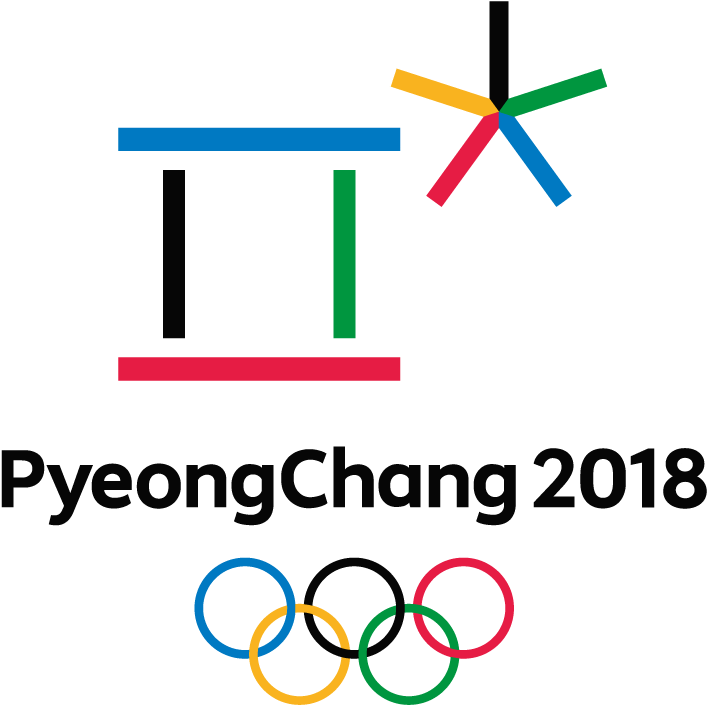 Two years ago it was announced that the 2018 Olympic Winter Games would be held in the Pyeongchang region in South Korea. The official emblem for the event was unveiled last Friday, May 3, at a ceremony. 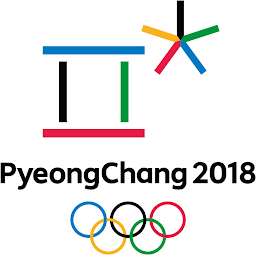 The symbol is based on the first consonants in Pyeong and Chang in the Korean alphabet, also known as Hangul. It employs the five Olympic colours, that are also culturally significant in Korea. It was created by HA Jong-joo, a Korean corporate identity consultant. A month ago, on April 2, the French national train company SNCF launched a new brand for low-cost high speed trains. The new trains are called Ouigo, and marketed as distinct from the regular TGV trains. The new brand was created with French agency Carré Noir, who have previously worked on SNCF's corporate identity. The name can be interpreted as a combination of the French word for yes (oui) and the English word go, a fairly simple message. This simplicity is also expressed in the visual identity programme, with simple pictograms, a clear logo and friendly pink and blue trains. The patron saint of Stockholm, the capital of Sweden, is Saint Eric, a king who according to legend ruled Sweden during the 12th century. He has therefore been depicted in seals and coats of arms since the Middle Ages. On Monday, April 29, the city of Stockholm unveiled a new identity that puts the old king in new surroundings. The logo has been given a new and more legible and modern wordmark. It is set in a custom typeface called Stockholm Type, developed by Emmanuel Rey of Swiss Typefaces. The coat of arms comes in three variants, one solid black version for white backgrounds, one outlined for coloured backgrounds and a full colour version for occasional use. Update May 2: The new brand identity was developed by Essen International, a brand consultancy based in Stockholm.